Dan and Sylvie have been married 7 years and have a seemingly perfect life. Parents of twin girls, a home, decent jobs. They both know each other so well that they finish each others sentences and know exactly what the other person will do before they do it. They go in for their yearly physical and the doctor cheerily lets them know that they are in such good health that they will both live till they are 100 and 101 respectively. For people who made vows “till death do us part”, this news comes as a shock to them and throws them in a tizzy. They suddenly aren’t sure what to do with themselves for the next 68 years and worry about being boring. Sylvie comes up with the grand idea that they should surprise each other constantly. This ends up being an epic fail as the series of surprises end up in mishaps and also dredge up secrets being hidden. I reached for a Kinsella book because I figured something fluffy would help with my book malaise. Kinsella is usually good with these kind of books but I just could not get with this premise. It was too juvenile and unrealistic for me. Who instantly gets in a panic when your doctor tells you, you will live to a 100? Considering Sylvie just lost her dad to a car accident, you would think she would remember there are other ways to lose your life besides the state of your health. I’ve always wondered why British authors tend to make their protagonists so flighty, juvenile and self absorbed. Usually, she is a single girl trying to get the attention of a man but in this case she is married and she still is a bit ditzy. I didn’t quite understand the little side stories. They felt like puzzle pieces that didn’t fit the story and were fillers. The twist in the story was expected and sort of fit into the story but I felt the book should have ended after the reveal but it kept going. I audio’d this one and the shrillness and eagerness of the Sylvie character didn’t help. Because of the author, I really kept hoping the book would make a turn around and get better but it never did. Overall, I have read better from Sophie Kinsella and this was definitely not one of them. I’d say skip the book if you were planning on reading it. I really enjoyed this story. As someone who has been married for 10 years I could relate to Sylvie’s feelings about her marriage. I really liked the side stories. It made the book deeper in my opinion. There were a lot of funny parts that I liked but I don’t get the personality of British women either. I always wondered about that. I agree it’s annoying. 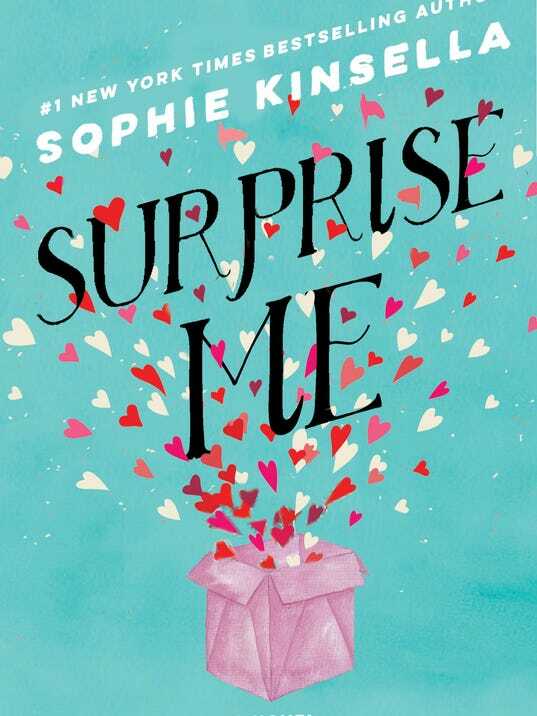 But this book was one of my favorite Sophie Kinsella books. It felt like she was trying to do something different with this book. It reminded me of Liane Moriarty. Not nearly as good in that way but I could see she tried. I’ve read nearly all her books and I consider myself a fan. But maybe because I actually read it I felt differently about it. Listening is good but it’s a different experience. I agree with buzybeekm, enjoyed this book, and can’t imagine listening to this book on audio as I can imagine Sylvie’s characters would be too much. I do think the book should have ended shortly after the reveal.